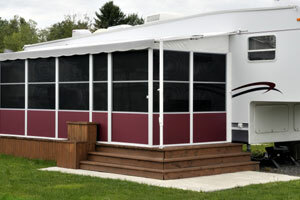 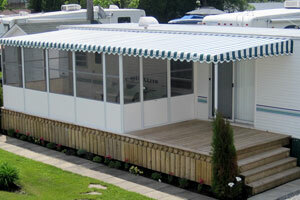 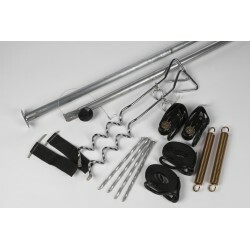 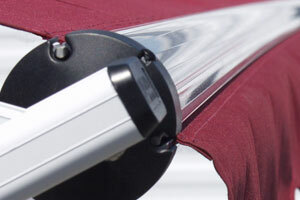 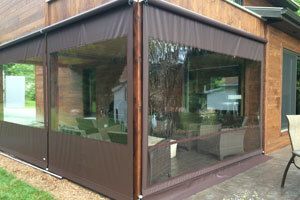 The Electric awning supports will allow you to fully enjoy your awning. 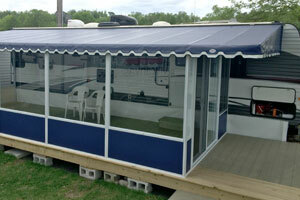 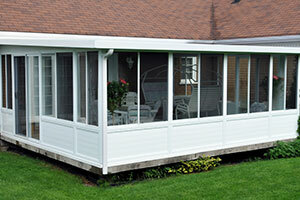 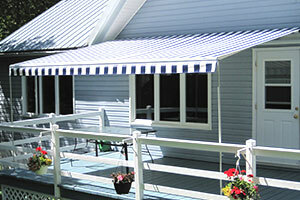 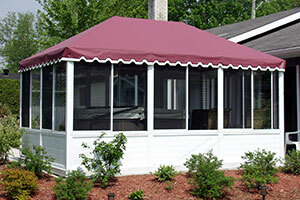 It upholds the front of your awning and immobilizes it against any vertical moves caused by the wind. 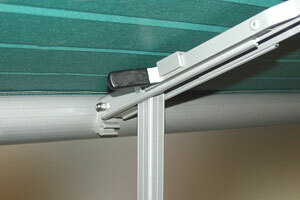 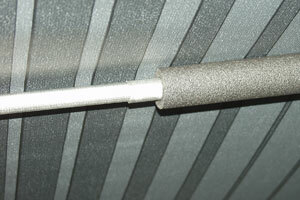 This eliminates the pressure on the awning hardware and on the top and bottom brackets. 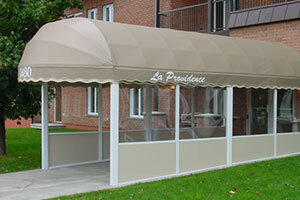 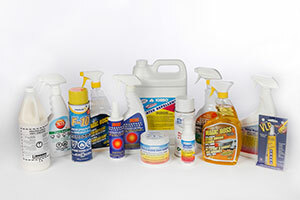 To assure extra support and solidity to any electric awning. 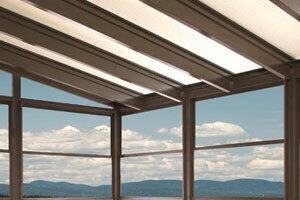 Unicanvas offers the electric awning support.